This project is made only with half square triangles and squares. Simple to do but creates a beautiful design. By changing the sizes of the half square triangles you can make many sizes from one design. 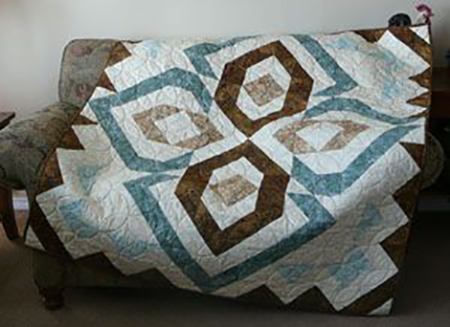 The Whispers of Persia Quilt designed By Lorraine Stangness of Country Creations, The Pattern is available for free.